Their pupils are so strange, so different! Animals like goats may have evolved horizontal pupils because better vision in the vertical plane may be beneficial in mountainous environments. Apparently, having horizontal slit-shaped pupils increases their peripheral depth perception and also makes it easier for them to see at night. Don’t goats just have the strangest eyes? Gotta wonder how they can see out of that tiny slit. Leland has a handsome face with unique eyes and he, in a way, reminds me of the Mother and twin cheetahs we saw in Africa, those black lines on his face! That’s what makes him look so handsome! This is the first time I have seen Leland so close up. He looks just like my favorite character in Narnia–Mr. Tumnus. Completely aside from his good looks, I have a question. 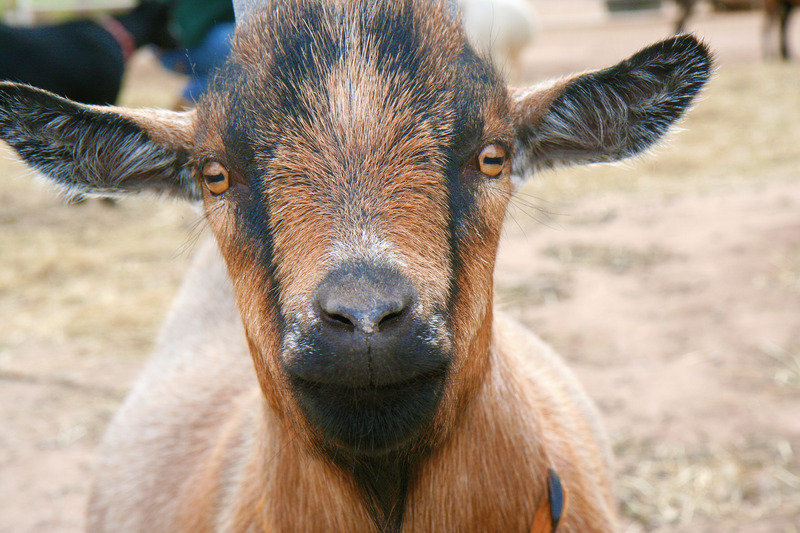 Why are goats pupils sideways? Really Leland has a handsome face with beautiful and mysterious eyes! Hee Hee Hee!! That picture makes me giggle! Thanks for the great start to the day. Oh, my friend, get thee to a library and check out “The Lion, the Witch and the Wardrobe.”. With your love of animals, you will love it. 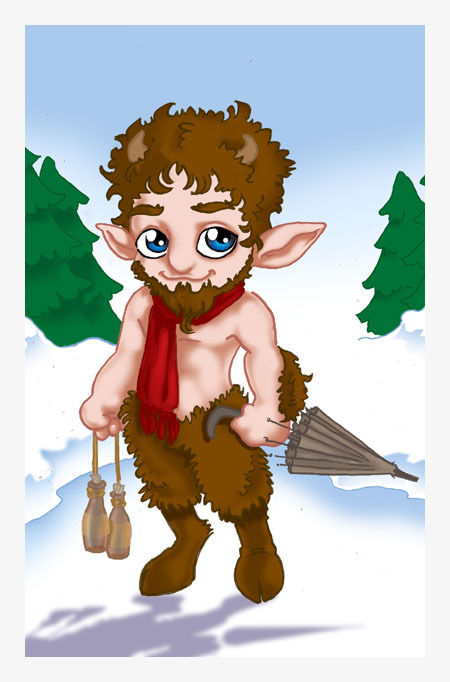 So much more than a kids book… And yes, Mr Tumnus isnt Mr Tumnus without his red scarf. What a handsome face! Why don’t we hear more about the goats? Nice to meet the other members of Morningbray. Goat eyes are pretty wild looking. He has beautiful eyes! I’m glad you explained the pupils – I’ve often wondered. Leland is very handsome! I wasn’t familiar with Mr. Tumnus either, but wow… he’s got a twin!